There was so much Black excellence around the dinner table! Love and hip-hop definitely collided at the 2016 MTV Video Music Awards. The stars were out following the Sunday night broadcast and happily brought their baes along and the result was basically everything you could imagine. 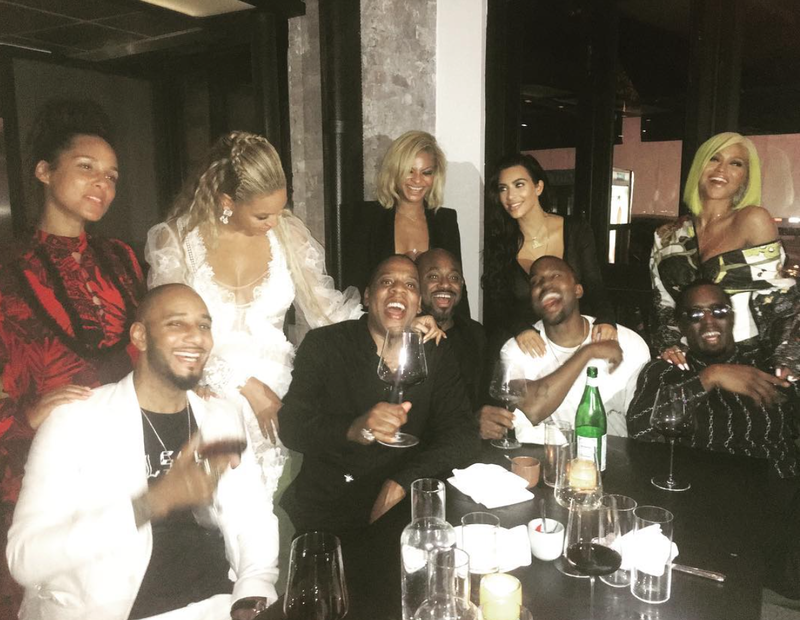 During the post VMA festivities, Beyoncé and Jay Z, Alicia Keys and hubby Swizz Beatz, Kanye West and his wife Kim Kardashian-West, Diddy and his boo Cassie along with record exec Steve Stoute and his lady love, toasted the night away in complete style. This a power couple dinner party we’d kill to be present for. When there is well more than a billion dollars sitting around the table, good times are bound to roll in!